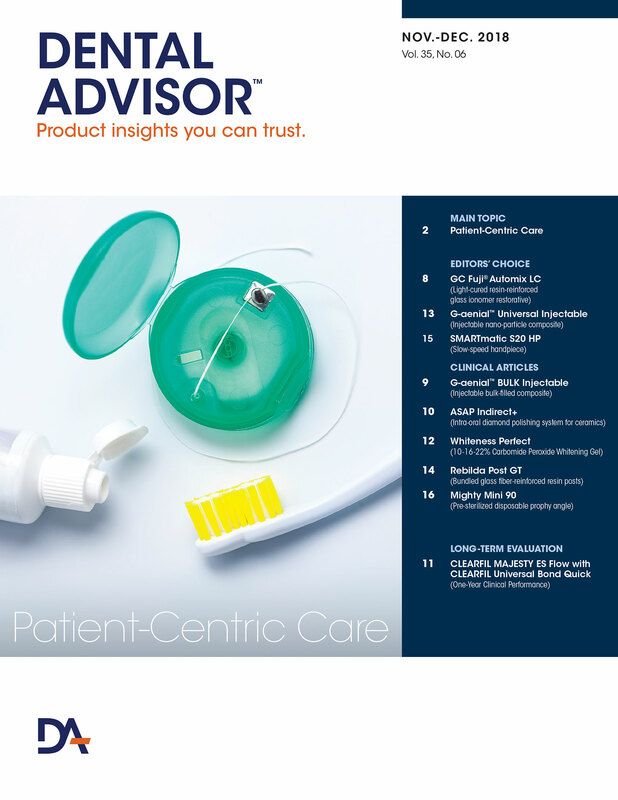 It was very helpful to read all manufacturer’s instructions and watch the video. 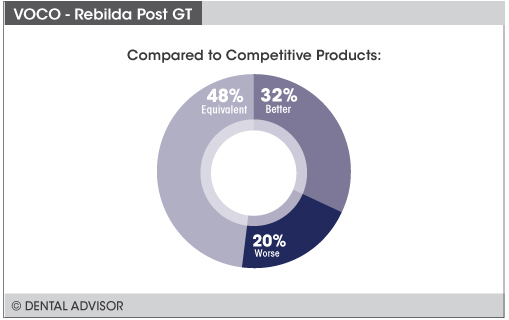 Go smaller than you think when choosing a post size. 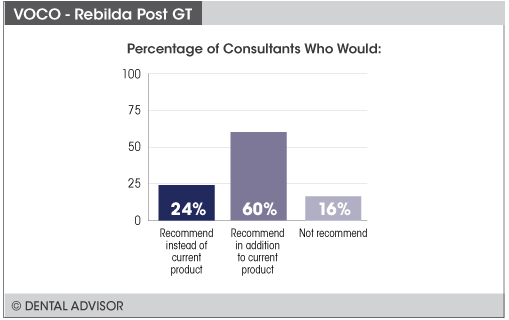 Rebilda Post GT was evaluated by 25 consultants, and used 361 times in total. Good adaptability to canals of all shapes. 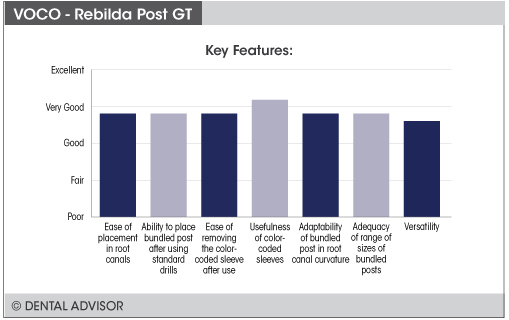 Rebilda Post GT is an innovative, radiopaque bundled glass fiber-reinforced resin post consisting of multiple diametrically smaller (0.3 mm) posts designed to offer enhanced physical properties, adapt to the curvature of the root canal and to significantly reduce or eliminate the need to remove healthy tooth structure prior to post placement. The bundled posts have color-coded sleeves for different sizes that are removed after the bundled post has been placed. 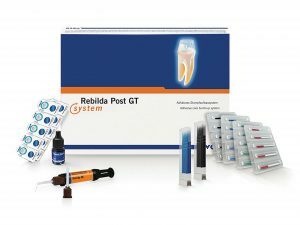 Rebilda Post GT is available as a kit containing 5 posts each in 0.8 mm, 1.0 mm, 1.2 mm, and 1.4 mm diameter sizes, together with a 5 mL bottle of Ceramic Bond, 20 Futura Bond single unit doses, a 10 g syringe of Rebilda DC QM dentin and accessories. Refill packs containing 5 posts in one of the four sizes are also available.